Well I'm glad I read this thread. Never knew what a "BMS" was before. My battery threw a low battery light one day when I had the key on engine off, which I thought was weird. I noticed on Wednesday when I was coming home from work, my HVAC controls completely turned off then turned back on about a minute after I left the parking lot. Then the next morning the car was dead, and I needed another jump when I was leaving work that afternoon. Got the battery replaced yesterday, but had no idea about this "Battery Monitor System" that needed reset. just wanted to say i got a cable and reset the bms my 12 focus se is now working like it should be. no more low battery messages no more 1hr radio mode cut off in 2 minutes of being on. everything is as it should be now thanks all for the info and tips. and for any one needing a cable. this is the one i got. all you really need to look for is one that can do the CAN HS, MS CAN. this cable works with windows 10.
ebay link. just note this guy marked mine as shipped when he did not even have it. but it gives you an idea of what cable to use. he did ship it to me once he got it but it was a week later. it dont have to say ford on the lable i just wanted the one that said ford lol. 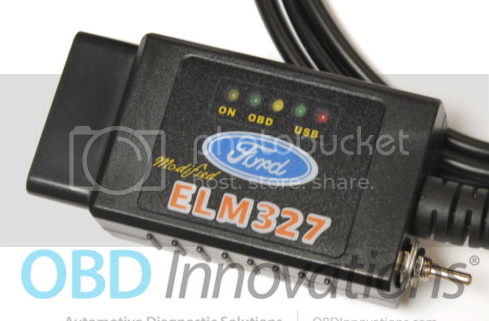 The ELM327 USB with a modified HS MS CAN Switch, using the FTDI FT232RL USB/Serial Chip and the Microchip PIC18F2580 Mico-controller is an OBDII interface designed for the ELMconfig, FORScan, FoCCCus, FF2 software for Ford and Mazda vehicles. With the modified switch, you can access the Ford proprietary networks like HS CAN and MS CAN. It also supports all modern Ford vehicles including models that require high data refresh rates of 500K Baud. Last edited by spots; 01-05-2018 at 05:18 PM. Nothing new to add to the helpful information that's already been posted, but I just wanted to mention that I replaced my battery about a week or so ago and after buying the ScanTool OBDII/USB cable and downloading FORScan, I was able to reset my BMS in less than a minute. It couldn't have been easier, so thank you everyone for sharing your tips and knowledge. Interesting stuff..so...is your 2014 deemed to be the MK3.5 model? We may need others to chime in. The reason I ask is I've seen threads stating that the Forscan product is incompatible with the 2015 model MK3.5. But, if your2014 is the MK3.5 then I'll go ahead and buy what you have and reset the BMS on my 2015. Ductape91 is correct: mine is not a 3.5. Regarding FORScan's compatibility with your car, I see mention of Focus models through 2017 in their update lists, so I would think your car should certainly work with FORScan. The FORScan program is free, and the ScanTool cable is cheap and handy enough that I would buy it anyways, because surely it could be used for something some time down the road. Hopefully someone more "in the know" than myself chimes in soon to help you get a solution, but at least from what I read on their site, FORScan should work with your car. - 2014 Blue SE Sport, DCT, w/winter package (mine) Muffler and Resonator delete.